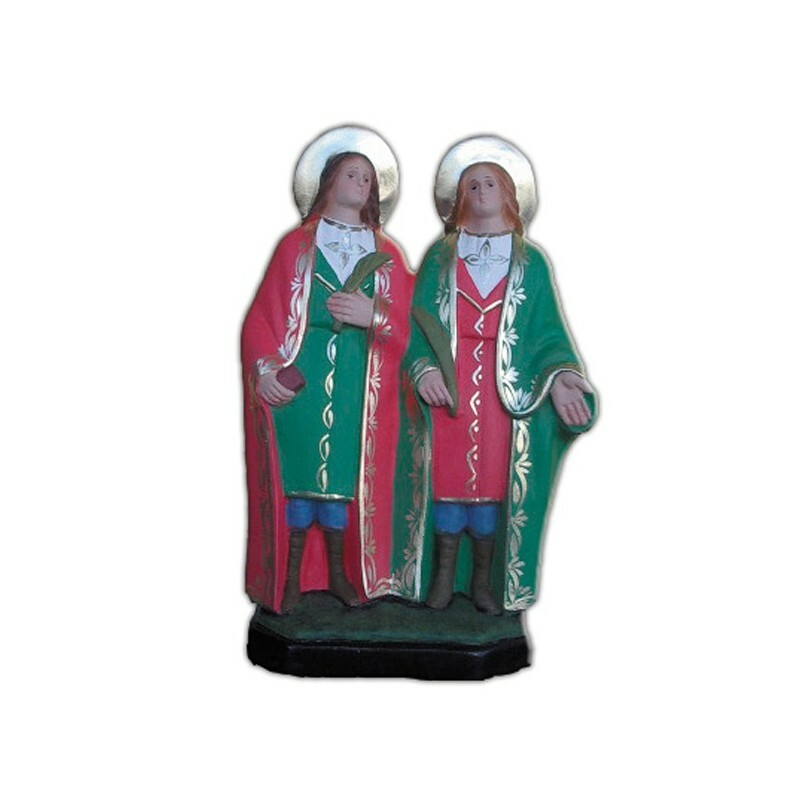 Statue of the Saints Cosmas and Damian of 25 cm. 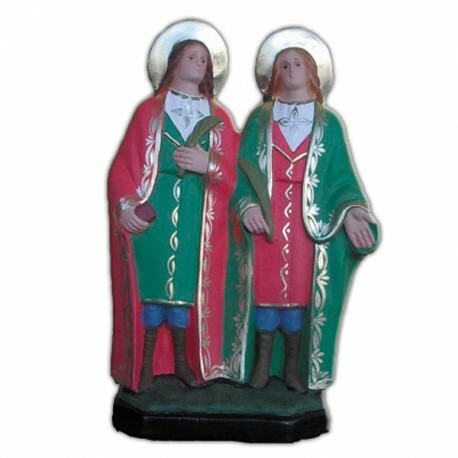 Saints Cosmas and Damian martyrs. They are commemorated on the 26th of September. They were two Arab twins and they were both doctors. They were martyrized in 303 in Cirus. They worked without a renard and for this reason, in Eastern, they were called “Anargyroi” (“senza denaro”). Their relics were brought to Rome, from where their veneration spread in the all the West. They are mentioned in the I Eucharistic Prayer. They are often represented in the paintings of many artist of the Middle Age. Generally they are illustrated as doctors, with surgical instruments and with the haloes.